The Cincinnati Reds lost both games of their split-squad efforts on Thursday. That put the Reds record at 8-14-5 on the spring. They get back to things today, hitting the road to take on the Milwaukee Brewers at 4:05pm ET. 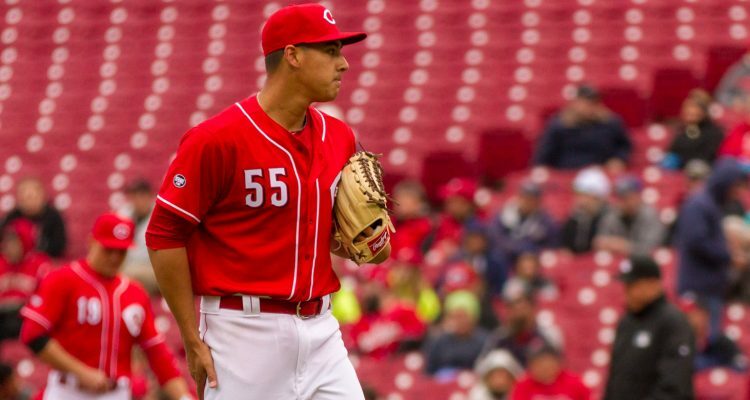 Also scheduled to pitch for the Cincinnati Reds today: David Hernandez, Michael Lorenzen, Alex Powers, Zach Duke, and Amir Garrett. Just ST, but this feels like a big outing for BobSteve. HUGE outing for Stephenson. I hope DB & DJ has him scheduled for 2 innings today. That would allow him to easily extend to 3 innings in Atlanta before the season begins. I’m glad you mentioned India. I missed him when I scanned through the lineup. I think that shortstop is a good hitter. Maybe I was hearing things, but I could have sworn I heard Marty say that he believes Peraza could somebody win a batting title. Seriously? Possibly. But average is in everything. Scooter’s out with an apparent groin injury. Senzel may have just made the opening day lineup. Uh oh. Things almost always have a way of working themselves out. Those are lingering types of injuries too. It did appear as though it could be serious. He had to be helped off the field. My initial thought, too. 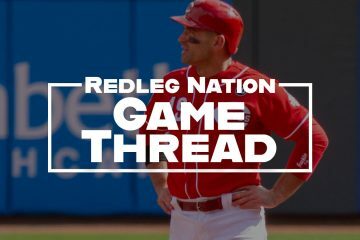 It does beg the question of whether the Reds would let Dietrich play second and maybe bring Farmer up for a few weeks, allowing the team to preserve their service time strategy for Senzel. Or say the heck with service time and bring Senzel back. I bet it is Iglesias rather than Dietrich, either that or they platoon. I am thinking the same thing here. Famer will probably be called back up. Senzel will most likely not be up until the service time issue has passed. Watched an interview about Senzel being demoted. All I could think the whole time was quit lying about why he was sent down. I do know Schebler had a nice spring and has had past success but I feel its a crime that Senzel was sent down. Senzel did not come close to beating out Schebler and was a no brainer send down. It’s only 2 weeks people …relaz. Wow! This could be a serious injury for Scooter. yea, 2 weeks into the season he will get the call. When was the last time Nick played second base? June 22, 2018. That was the day he was hurt and required surgery on his finger. Your welcome. He got hurt in the 1st inning of that game. So the correct answer might really be June 21. So how good was the off season for the Reds? The Reds may have just lost an all star 2B with an .850+ OPS for possibly 8 weeks and the team may get better! Solid outing by Stephenson! 2.0 IP w/ 1-H & 1-SO. He was throwing easy and hitting his locations. The only really hard hit ball was the line drive single to RF in the 1st inning, by Thames of course, but Thames was doubled off 1B by Puig on a fly ball that Thames misjudged for a nice Tootblan…TYVM! Nice outing by Robert Stephenson. He had 2.0 IP, 1 H, 1K, and the rest 0’s. Peraza is just killing the ball. Up 4-0 with Lorenzen pitching now. Mark Sheldon just tweeted he didn’t think this would impact Senzel. His agent is upset before the injury, but if Gennett is out for more than a week or 2, how do you not start Senzel opening day at 2b. The guy is an elite infielder and the 25 man best roster argument suddenly does apply? The calculus has changed now – assuming this an injury of weeks and not days . Senzel at second is clearly the best option. He’s gonna need some reps at second, but it shouldn’t take long. Senzel was s CF temp, anyway. Either Trammell, Siri or one of the others in the system (Friedl, Sugilio, Bautista, Siani) is the long-term plan in CF. Scooter is gone after this year, so just move Senzel to 2B now and get it over with. Very disrespectful and also really slighting the contributions offensively Scooter has made the past two seasons. If Senzel hits anything like Scooter these past two seasons it would be shocking… not saying Senzel won’t be a great player one day in the near future, but Scooter was playing elite offensively and that will be sorely missed and just because you are a Senzel fan you shouldn’t be so contrite about an injury to a key contributor on the team because it opens up a spot. Injuries will hurt this team chances, you aren’t getting addition by subtraction by losing Scooter, you will never convince me of that in a million years. Let us all hope he is ok and has a solid season. I agree.The “senzel mania” is borderline lunacy. The Athletic ran a 3 part series this week ranking all MLB and minor players for their trade value. MLB general managers/asst GM’s and talent evaluators were polled to form the list. Its not simply based on skill as Mike Trout is the best player but his contract is now prohibitive for most teams. Its player skill, age, health and contract status. A 25 year old is more valuable than a 30 year old with similar performance with the # 1 ranked player “fetching” the most in a hypothetical trade if all players were available. This list is 7 years running and started years ago by Bill Simmons evaluating NBA players. There is also good research showing the PED era skewed stats and aging curves and peak years are younger than prior. The article also quotes data from Bill James and modern analytics that minor league stats do give a good read on outcomes after adjusting for age and other things. Andrew Benintendi #27 Corey Seager #20 Mookie Betts was #7, Francisco Lindor #5 and Ronald Acuna #1 amongst others. The Reds had (3) players make the top 50 most valuable players in all of MLB. Taylor Trammell #38, Eugenio Saurez #33 and Nick Senzel #25. Senzel is very highly valued by a lot of objective talent evaluators for a lot of good reasons. I mean no disrespect to Gennett, but his injury looked to me like it will disable him for a quite a while. In the meantime, Senzel is the obvious person to play 2B while Gennett is out. I have also long believed that the Reds are too left-handed, with Votto, Gennett, Winker and Schebler in their starting lineup. Gennett is the weak link in that group, because they are not going to platoon Votto, and because Winker and Schebler make less than 10% of what Gennett makes. Winker will next year, as well. Using a lineup with 4 (or even 3) left-handed hitters against a LH pitcher is not ideal. Gennett is very unlikely to be on the Reds in 2020, and if that is the case, then the Reds need to let Senzel get the extra ABs he is going to need to transition from prospect to proven contributor. Senzel is the future. Gennett is not. That may seem unfair to Gennett, but baseball is a tough business. Which would you rather have: Gennett’s expected stream of income over the rest of his career? Or Senzel’s? I’d rather have Gennett’s real-life stats for 4 more years, than Senzel’s “what he might do” Since there are 9 positions, I know this might blow people’s minds, you can actually have both. Nick has done well in CF this spring. BRM in ’76 had 4 left handed hitters and one switch hitter. That’s a good mix when they face mostly rhp. The more I think about this, the more I see that the proper response is to bring up Nick Gehrig to replace Scooter Pipp. The future is now. 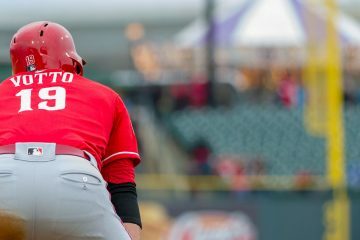 Despite all the deniers, scooter will also be needed for a winning Reds team, hope he is alright, Regardless of the situation, senzel will be down for the minimum, and no that’s not a crime, that is a smart baseball move. If scooters injury is long term, then get senzel to second. If it is not and he is just Day to Day, then the bench will prove its ability to fit in. All roster moves were expected but Ervin, I guess Winker had to be demoted instead. Time will tell.